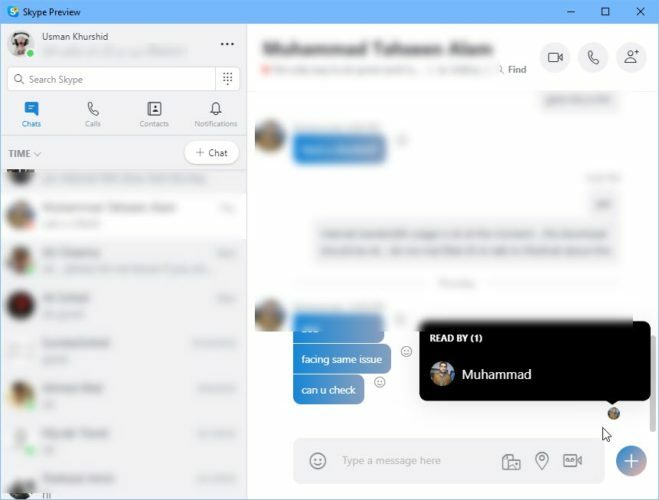 Microsoft has finally listened to its Skype users who were using Skype Classic and were not willing to upgrade to Skype 8 just because few features were not present in the latest version. To find out what’s new in the latest version of Skype 8.30, keep reading the article. Although this Skype version was released two days earlier, I held on to not publishing the update because I wanted to have the complete change log from Microsoft which was not published at the time of release. Let’s go through the new features introduced in Skype 8.30 and then we’ll share the direct download links of Skype installer. The major different between Skype 7.40 and Skype 8 was that Microsoft skipped the in-conversation search feature and the ability to select multiple conversations for copying. 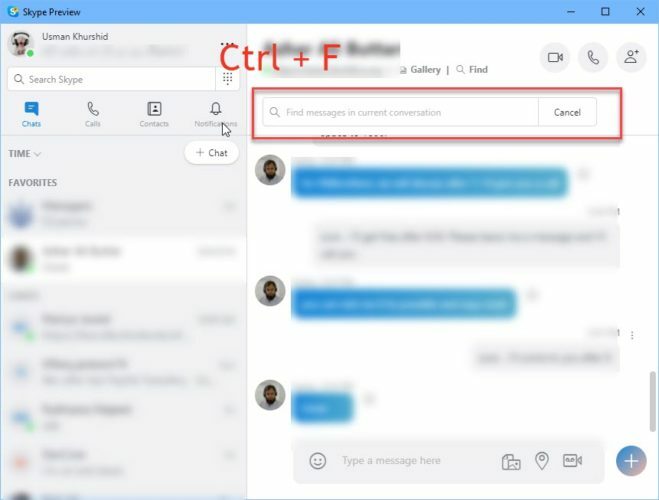 Both of these features have been introduced in Skype 8.30. Now you can easily search a conversation by pressing Ctrl + F keyboard shortcut in the active conversation window. The new Skype also features read receipts like WhatsApp and Facebook Messenger. Now you can easily see if a message was read by your contact. Clicking on the display picture at the bottom right of the last message will give you the list of people who read your message. The read receipts are shown for the last message only. When the message is ready by everyone, read receipts are removed. 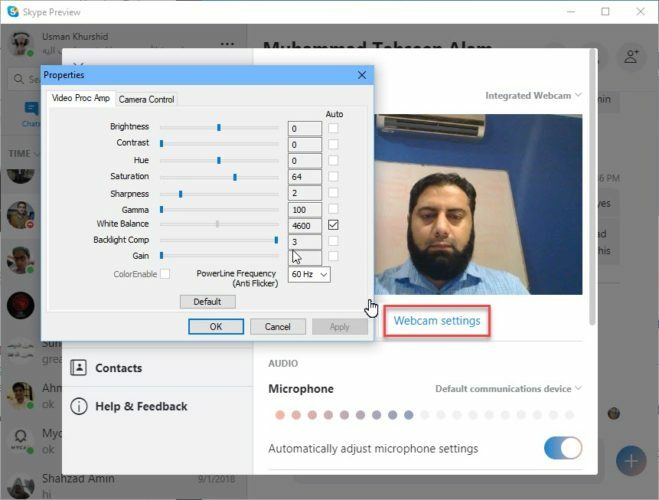 Under the webcam video preview, click on Webcam settings.